Nobody wants to look bad, any time of the day, anywhere - not even in the bedroom! And bad hair day is the worst problem that anyone could encounter, anytime of the day! So, no wonder why the hair care products are selling like hot cakes everywhere around the world. When I was presented with the Rapunzel's Secret Box from Althea Korea (courtesy of The Butterfly Project), I was ecstatic. I received it a bit later than my trip from Siem Reap, if not I would have been using all the products during my trip there. Nevertheless, I received it in my birthday month so I over the moon when the package arrived. 1) Perfect Repair Mask Pack by Mise-en-scene It says Perfect Serum on the front of the gold color packaging. And yes, everybody needs serum! This amazing pack comes with hair cap + hot oil + three kinds of hair treatment ingredients that will give you that marvellous and perfect salon treatment. 2) CP-1 Head Spa Scalp Tincture by Piolang With ' Cooling tincture for cooling the troubled scalp', this tincture with Tea Tree Leaf Extract, Green Tea Extract and Centella Extract is certainly the greenest tincture around! It provides you with green vegetables' powerful soothing care and the best thing is, it has the nozzle to point directly to the troubled areas and voila! Your problem solved! 3) The Healthy Protein Hair Ampoule (Black Bean) by Real Skin Another amazing au naturale product for the hair! Black Bean is for the oily hair and is infused with Anthocyanin, Vitamin E and dietary fibre to strengthen the hair. Whereas Collagen and Isoflavone effectively nourishing the scalp and preventing hair loss. 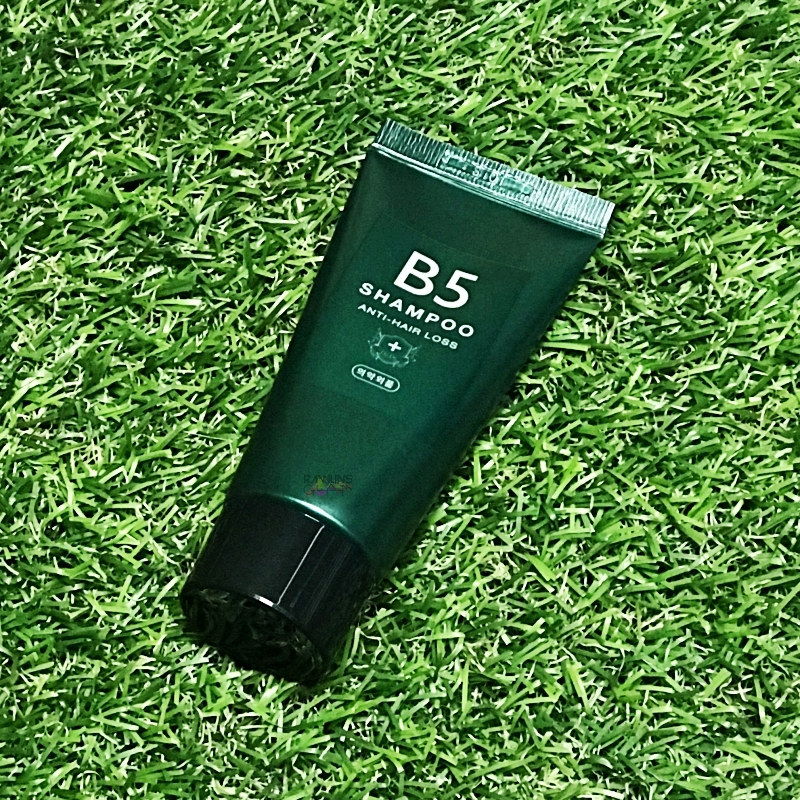 B5 Shampoo Anti-Hair Loss by Dr. Dr.
4) B5 Shampoo Anti-Hair Loss by Dr. Dr. The best thing about this marvellous little package is that it provides double-care. It has 30 different herbal ingredients that prevent hair loss and increases hair thickness. It is also free from 8 different artificial chemicals that are deterrent to the hair and health in general. 5) Turn-Up Color Treatment (Peach Pink) by April Skin I know the whole lot will love this product by April Skin. This amazing item is a hair treatment which gives a color to the hair and nourishes at the same time. 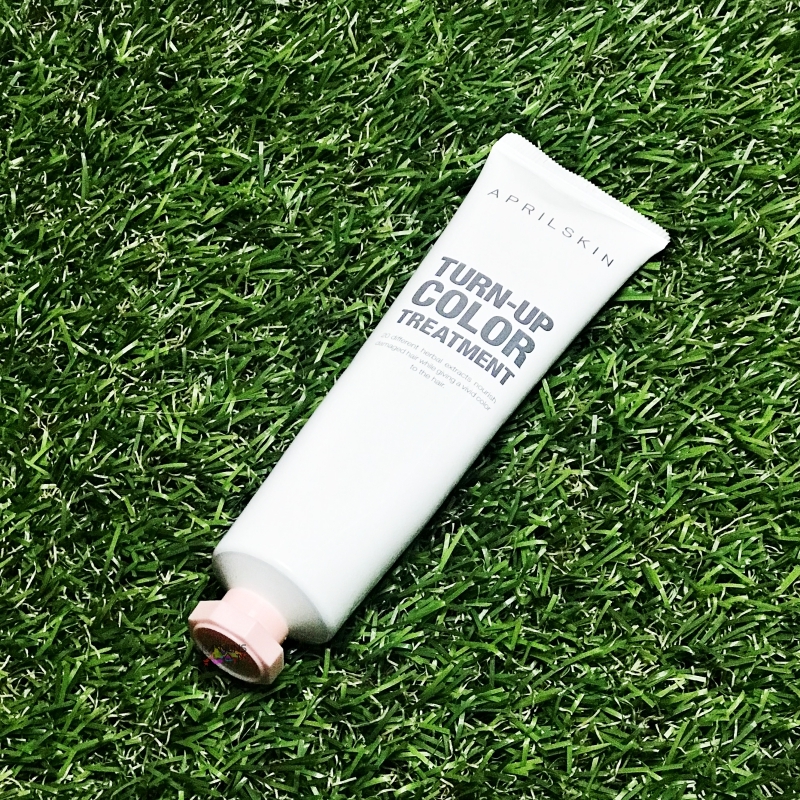 It gives color tinting without damaging the hair by attaching the color pigment to the surface of the hair with less cuticle damage. And it is temporary! So you get to experiment more colors on your hair without damaging it! 6) Exclusive Travel Kit by Suaviss Need I say more about this amazing and very thoughtful pack of beauties? It has Angelica Hair Shampoo, Perfect One Foaming Pore Cleanser and Argan Brilliant Hair Conditioner - everything that one needs while travelling - easy, compact and practical! The combination of powder and lotion helps to make hair bleaching much easier and less messy! I tried it (albeit on a small strand of my hair) and it does look good! If only I can wear bleached hair to work! 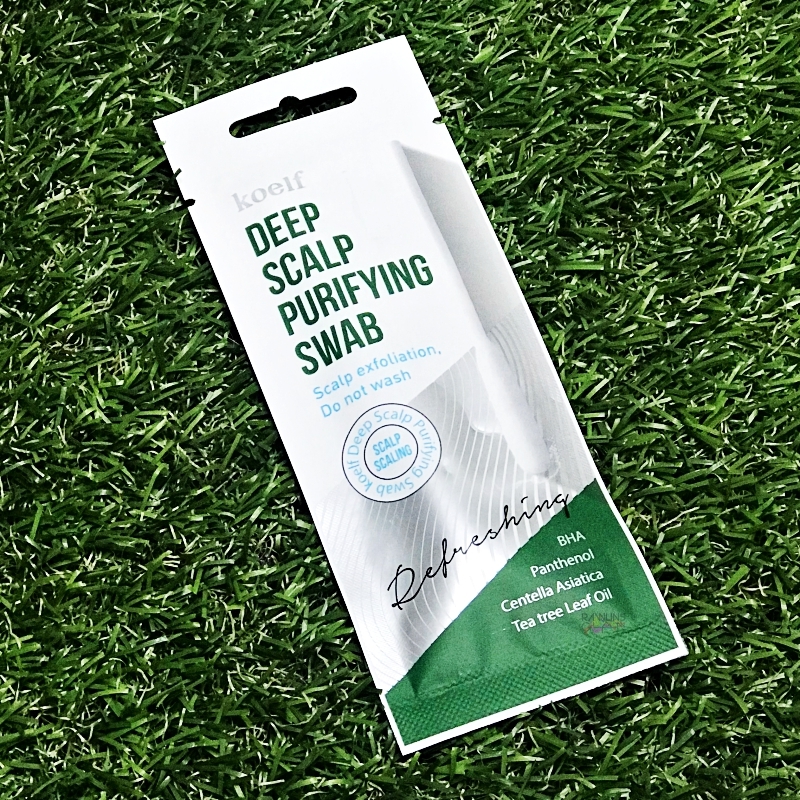 8) Koelf Deep Scalp Purifying Swab by Petitfree Another Travel Friendly Item - it immediately removes scalp debris and odor. Then it adds nutrition to the hair and leaves the effect of cooling and soothing to the scalp! Ain't that a much-desired help we need while travelling, right? 9) CP-1 Premium Silk Ampoule by Piolang You uses way too much hair dryer that damages your hair? 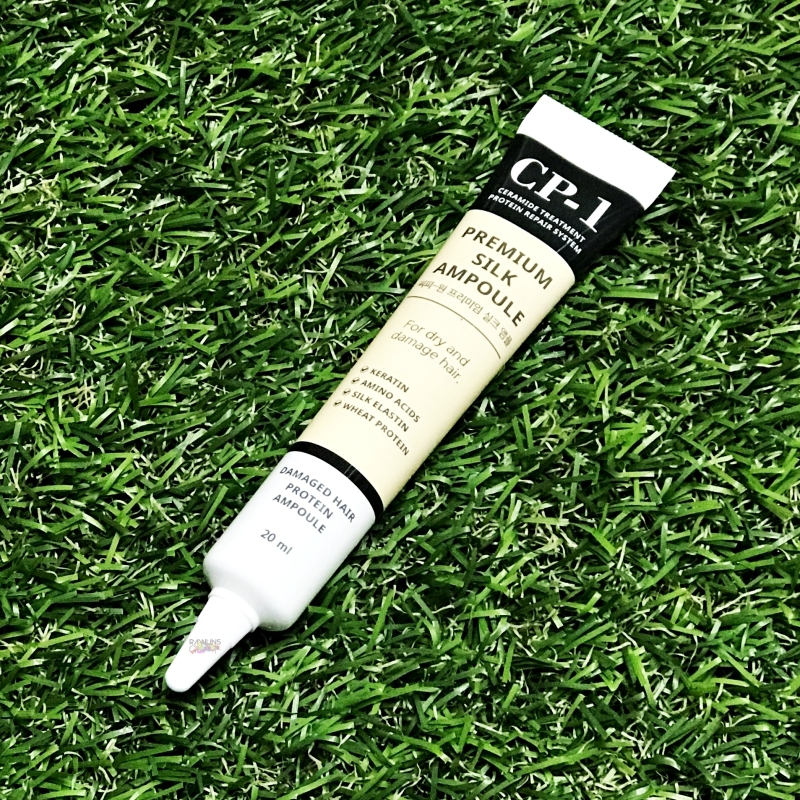 CP-1 Premium Silk Ampoule helps to maintaining clinic effect, preventing damage by heat, blocking dryness of hair and instantly improving hair gloss. And it is Skin Low-Irritation Certified! It puts protein into the hair, locks it and coats it for a longer effect! 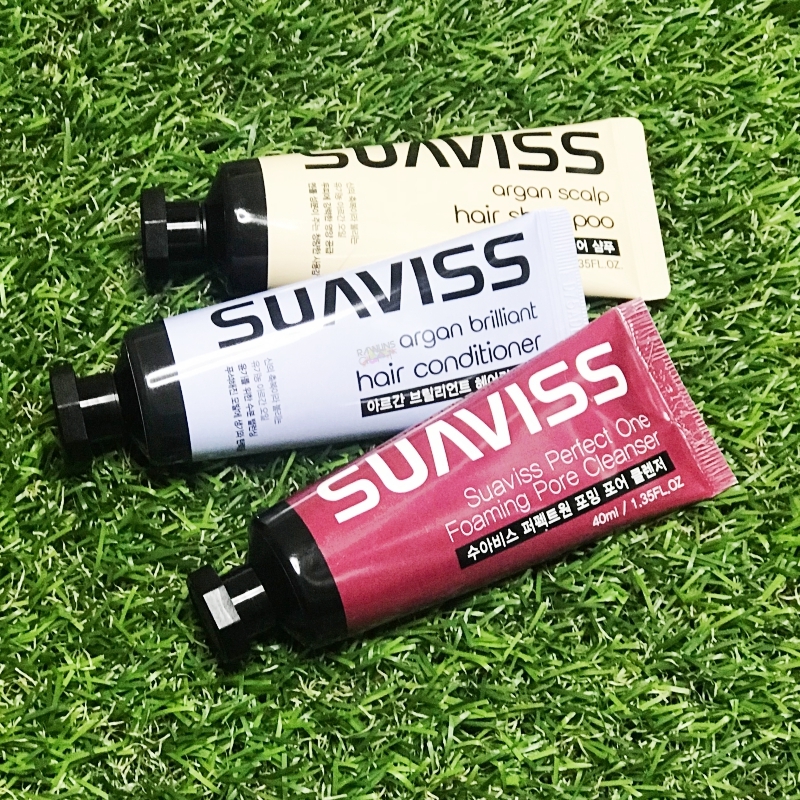 10) Argan Trial Sample Kit by Suaviss I have used this trail kit when I went to Sunway Lagoon and truth be told, my hair stays moist for several hours after application of the conditioner. Actually, ecstatic is an understatement! I was beaming like a cheshire cat, thimking about what to do with the products in this amazing Rapunzel's Secret Box. For only RM99, get all these amazing products in the new and limited beauty box. And don't worry about the authenticity of the products as they are all genuine and original from Korea and the products will reach you in the fastest time ever! I have always managed to receive my order within two weeks, sometimes less than a week! Here's where to get the Rapunzel's Secret Box. Memang tak pernah warna rambut. Berminat dengan produk yang memberi nutrisi pada rambut. You get 10 items with that RM99 price? Wow, I think that is a really reasonable price. And the products looks promising too. wow! serba lengkap penjagaan rambutnya! yang lagi best, set produk dalam satu kotak untuk lelaki pula tu. woohoo. i love the scalp products in the box! seldom got much products about scalp. i wan to try next time! Patutlah lawa dan bergaya hairstyle rawlins. Ni rahsia dia rupenyeee. It's fun to unboxing especially we get the surprise we wanted.. Happy! Happy New Year to you too. Times for me to pamper my hair now with products from Althea. oh wow bro , i didnt know this earlier and thank you for bringing this post up. Bestnya. Macam-macam produk ada. Nak juga macam ni. Deep Scalp tu menarik sebab tak payah bilas. Harga pun ok, dengan semua barang tu memang berbaloi sangat. Beli then share dgn suami lah. Eh. Banyak isi dalam kotak tu dengan harga yang sangat berpatutan. 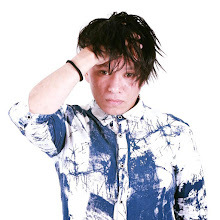 Sangat sesuai bg sesiapa yanh gemar mewarnakan rambut. I'm definitively envious of all the hair products that you get to play with. My hair is still virgin when it comes to colouring and bleaching. Time to test these Korean products at home now that you have recommended them. i'm shocked hearing the price. SO much worth it and for sure many would want to try this as well!!! Oh!! Lots of great products. and I think I need to give a try this Koelf Deep Scalp Purifying Swab and that conditioner. I will absolutely check this out. I enjoyed watching your unboxing vid, and omg i am feeling envious with your goodies! Thumbs up for your review and collab! This box looks amazing! Finally, I got another option for my hair now! I love this beauty box that contains alot of products to try! Even for hair now, definitely a box that is worth to get! PizzArt Is Back Again - Better and Tastier!